It is the dream of many people to enjoy a refreshing night’s sleep and rise full of energy. But this simple wish is not always easily granted. The main hurdle and stumbling block in the completion of this fantasy, is their own mattress! Yes! Something as seemingly ordinary as a mattress can destroy the wish to dream comfortably on your bed every night. And the reason is that your mattress keeps you in so much pain throughout the night, as you constantly toss and turn, that you don’t get to sleep a wink, let alone have any dream! To enjoy your dream sleep, you need a dreamy mattress, which offers you everything you need to make your magic wish come true! And that is exactly what the KEETSA Tea Leaf Dream offers you! It is the main element which will make your dream come true and make you feel as if you are in fact sleeping on a dream bed which came out of some genie’s lamp! If your mattress doesn’t offer luxurious comfort, then it is high time you replaced it with one that does! Your rest is not something that should be taken lightly and given the least amount of importance. On the contrary, it is essential to take at least 6 to 8 hours of undisturbed sleep, everyday. For that you need a comfortable mattress which gives your body much needed support and rest. Negligence in replacing an uncomfortable mattress most often causes severe back and neck pain, which results in an extremely distressing situation. The only effective way to avoid any major problems and enjoy a much needed good night’s sleep, is to select a mattress which promises luxurious comfort. 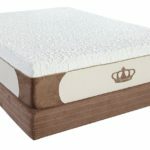 What Is The KEETSA Tea Leaf Dream Mattress? To put it simply, the Tea Leaf Dream is the spell you need to make your wish of a relaxing rest come true every time! This mattress is plush comfort, and has been designed for all those unfortunate souls who have been tortured by their painful mattresses. 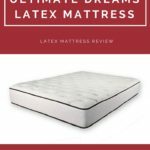 It is the most body relaxing and plush mattress that KEETSA has to offer, and has been expertly crafted for the comfort of all those individuals, who need plush comfort to rest their tired bodies. 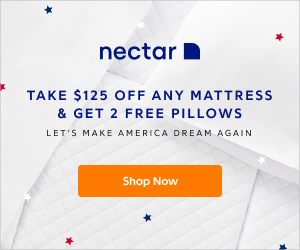 This mattress core offers the combination of independent coils along with soft memory foam, which combine to ensure maximum possible comfort. 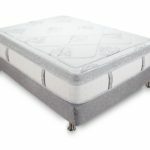 The independently placed coils with the memory foam ensure a unique resting experience as the mattress conforms to the body shape, providing support to every curve. 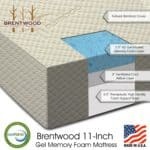 The mattress top is made up of a soft memory foam, which comes with a unique pressure relief system. The soft plush lets the body sink in and relax, providing maximum comfort all the time. It is the softest and most plush mattress out of the entire KEETSA mattress collection. 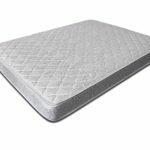 The soft memory foam has a luxurious plush quilted top which ensures great support and comfort. The KEETSA Tea Leaf Dream marks itself as the highest luxurious comfort you can find in mattresses for maximum relaxation. An innovative mattress core design which ensures luxurious comfort. The core has independent coils with a soft memory foam which collectively cradle the body shape and contour the mattress to support the body. The memory foam in the mattress is made according to an innovative technology, which uses 12% castor oil in the manufacturing process instead of petroleum. This makes the product environment friendly, and the foam is called as BioFoamTM. This technology reduces VOC emissions and the dependency on chemicals. Natural green tea extracts in the form of EverGreenTM are embedded into the foam of the mattress, which keep it fresh for a long period of time. No artificial chemicals or deodorizers are used in the process, making the product safe for all. 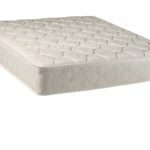 The hemp blend fabric has a luxurious soft feel, and is a quilted top on the mattress. It is a durable layer which ensures ventilation and also absorbs humidity. The compact product packaging design ensures less freight costs and reduced carbon footprints. The packaging ensures marked transport efficiency. The product is available with a free shipping feature to most areas of Canada and around 48 states of the United States. 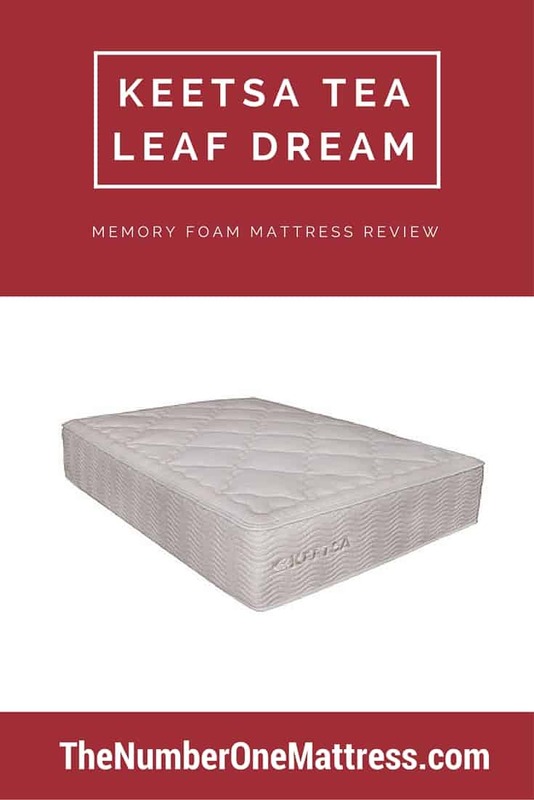 The Tea Leaf Dream mattress is available in a variety of sizes for customer convenience, which include, Full, King, Queen and the California King size options. The viscoelastic memory foam in the mattress has been certified by the CertiPUR-US, for its performance and durability. Who Will Need A KEETSA Tea Leaf Dream? The KEETSA Tea Leaf Dream will be needed by every individual who wishes for the last thing in luxury comfort! It is the softest plush comfort mattress that KEETSA has to offer, and it doesn’t get any better than this! If you want a mattress which ensures maximum soft support to your body and cradles the contours of the body shape to offer you a plush comfort, then the Tea Leaf Dream is exactly what you have always dreamed of! It is an affordable, eco friendly quality product which offers you a unique sleeping experience!